Monday morning, we break camp in Domaine Lausanne in Ivy-sur-le-Lac, and we are heading north to Hwy 327.This will bring us south toward Arundel toward Lachute, Hawkes bury, Rigaud, and to the KAO West Montreal in Coteau-du-Lac. A very pretty drive with undulating hills, farmland, rivers, and then toward the Ottawa River the big corn fields and meadows, and some horse farms. Our KOA West Montreal campground is OK, but a good hours drive into Montréal! Again we are beside a busy highway and on the other side a busy train tracks, but the site itself is very nice. 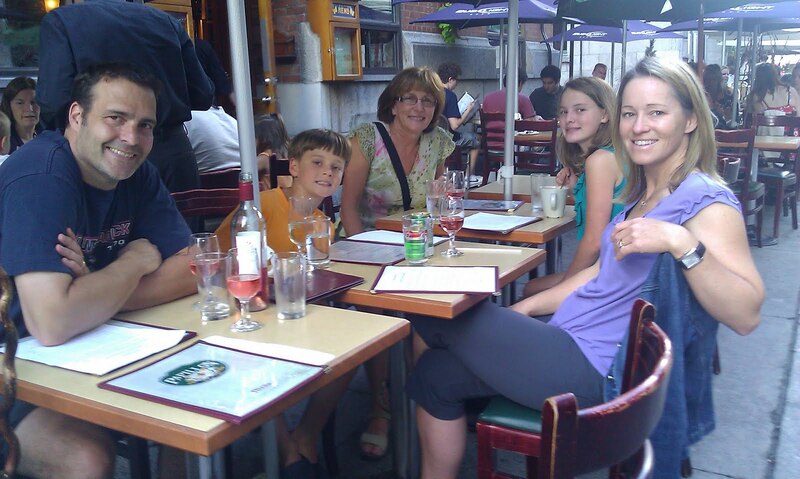 All that put aside, we have a good rest - tomorrow we will visit the great city of Montréal, and we will meet up with part of our family, Lisa, Mark, Sarah, and Ryan. They are arriving back from their holidays in Europe. Met up with some of our family. Montréal has special meanings to both Anders and myself. 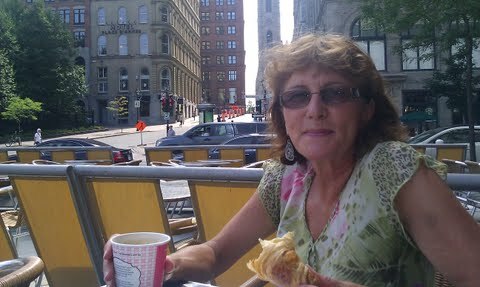 For me, Liz, Montréal was the city I flew into on May 21st 1967 to immigrate to Canada. I came with $ 50.00 Canadian dollars, and a suitcase full of clothes. I had a job as a photographer/ technician at Marcel Studio in Hull, Quebec. My plan was then to come to Canada to learn English, to see this large beautiful country, and then go back to Switzerland. Well, learning English takes time, and Canada is a very large country, and in the meantime my plans have changed. In Montréal I also experienced and enjoyed EXPO 67. This was an amazing exhibit for the whole world to see. Some of the legacy of that event still remains. When Anders first came to North America in 1974, he came to work on a dairy farm outside Albany, New York. I assume that the night-life down there was a bit limited. I hear stories of Anders and his buddies coming up to the "Old Munich Biergarten" in Montréal to enjoy this city and its night life. Anders also, two years later in 1976, as an immigrant, flew in to what was then called "Dorval Airport", now Montréal–Pierre Elliott Trudeau International Airport. With $1500.00 in his pocket he was smiling from ear to ear. So, both Anders and I are really looking forward to revisit one of our favorite cities. Liz is enjoying the nice weather in Montreal. Shopping for some local art. History repeats itself. Montreal just likes a varied, and controversial political stance even today. For more pictures from Montreal, have a look at our web album.